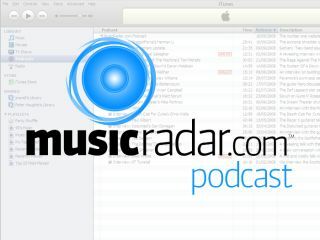 MusicRadar's podcast is the world's best audio podcast for musicians, bringing you exclusive, behind-the-scenes interviews with music's biggest names - and now it's on iTunes, too. Noel Gallagher, KT Tunstall and Joe Satriani have all graced our podcast over the last few months, and you can now enjoy all these interviews (plus many more) from the comfort of your iTunes library or MP3 player. Just click subscribe in the iTunes podcast directory to automatically receive each episode as soon as it's released. Like MusicRadar itself, our podcast is made for musicians and producers as well as music fans of all shapes and flavours. As such, MusicRadar interviews always have an extra angle that others don't. We'll chat gear and technique with Rage Against the Machine's Tom Morello, musical memory with Dream Theater's Mike Portnoy and, erm, playing guitar with a power-drill with Paul Gilbert. That said, we don't shy away from bringing you a generous spot of gossip and news either. Velvet Revolver's Matt Sorum revealed a Guns N' Roses reunion was on the cards ("I'm sure it'll happen eventually"), Sammy Hagar chatted eloquently on his new supergroup ("The rock 'n' roll world needs this band") while Noel Gallagher decreed that Guitar Hero is better than getting "fu**ed by a goblin up the arse with a laser". Cheers for that, Noel. MusicRadar's podcast isn't merely a platform for (ahem) world-beating interviews, though. Over the coming months, keep an ear (and eye) out for exclusive video lessons plus expert gear reviews.